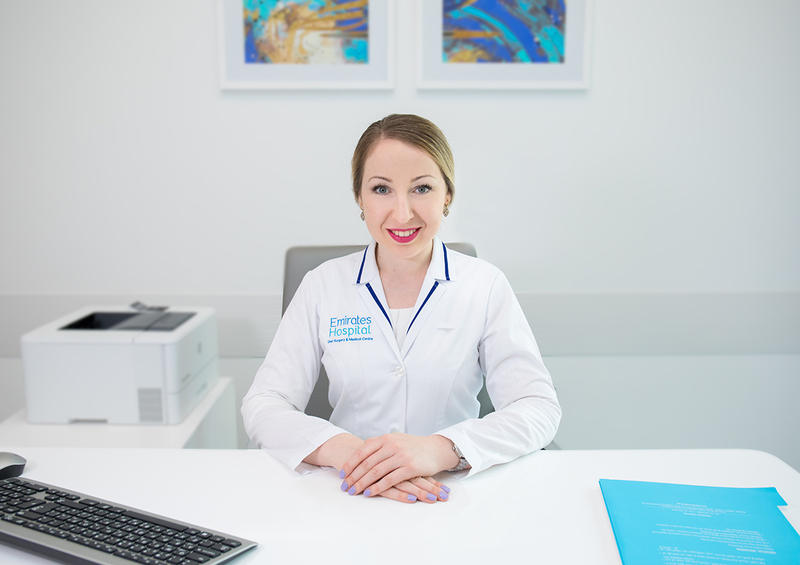 Dr.Iryna Ieremenkois our General Dentist at Emirates Hospital Day Surgery and Medical Centre specialized in Stomatology. Her experience over 7 years across the Europe and UAE. She is passionate in preventive dentistry always following up with latest technologies and treatment practices. Dr. Iryna having individualapproach for each patient with any dental needs. Aside from her being professional Dental doctor, she is also into administrative works and oversees for some in our facility. Visit our family at EHDSMC and get to know more about Dr. Iryna, she will be very happy to serve you with your dental service needs.